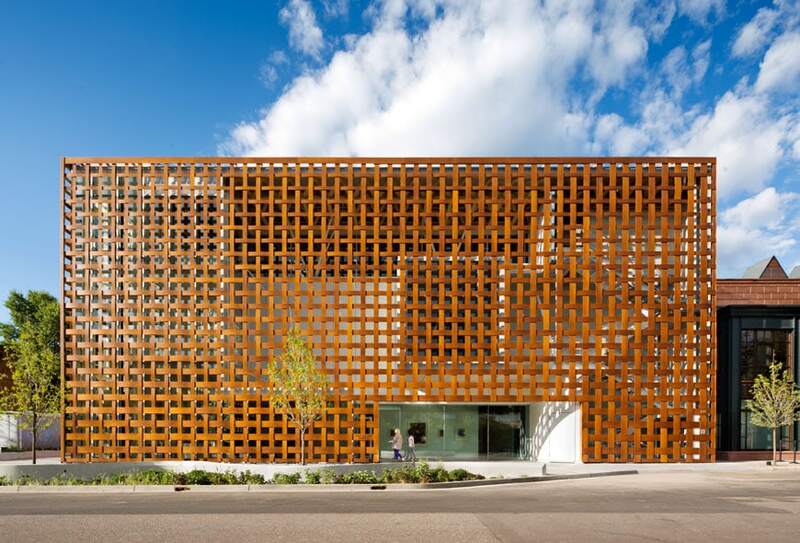 Shigeru Ban's new Aspen Art Museum. 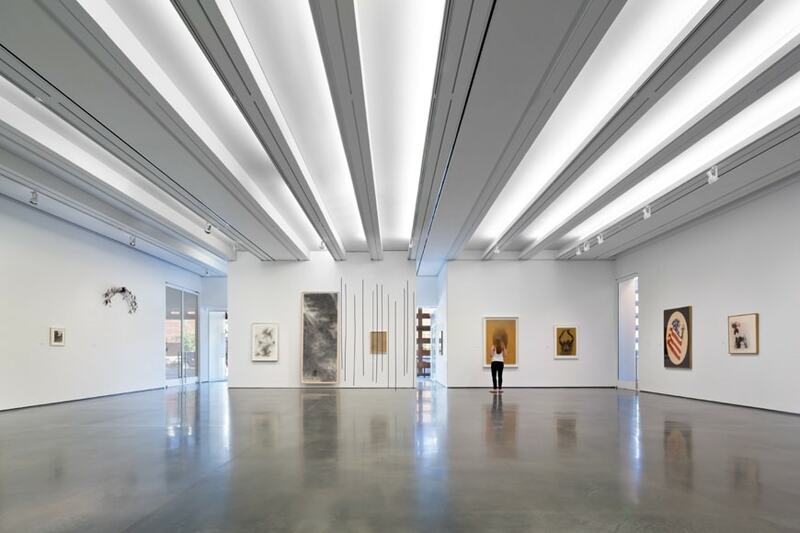 On Summer 2014 the Aspen Art Museum, one of the most interesting art institutions in the USA, opened its new home in Aspen, Colorado. 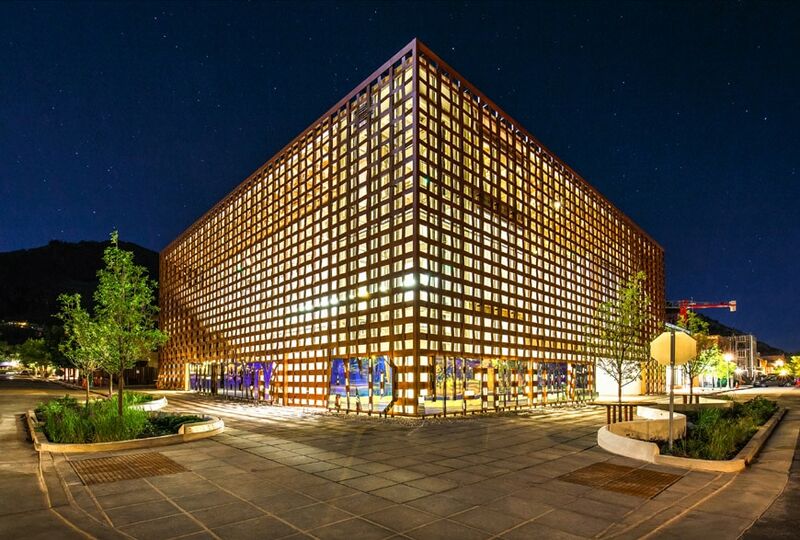 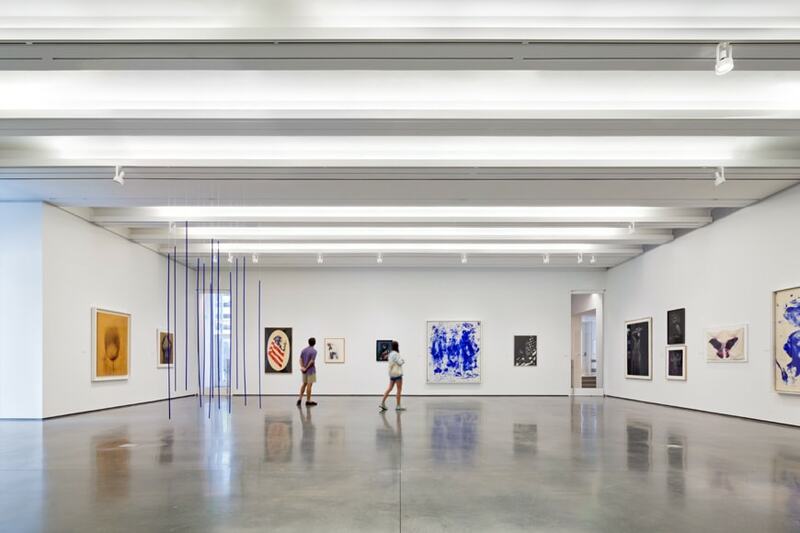 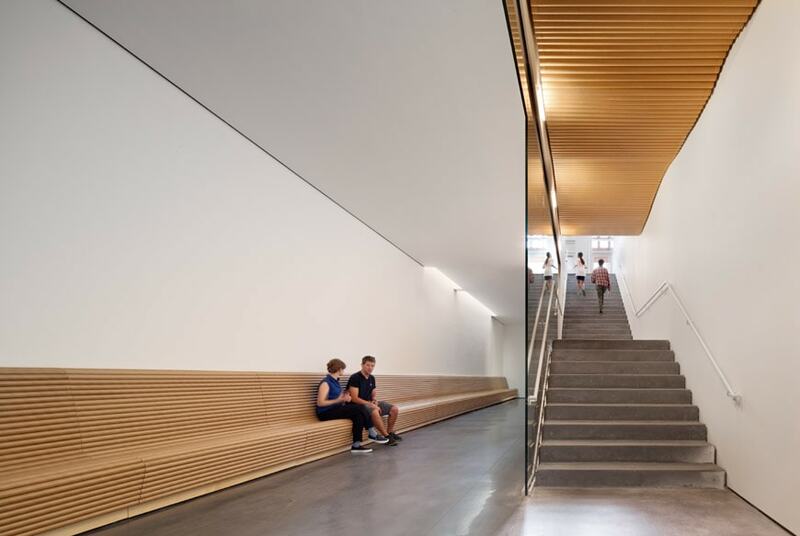 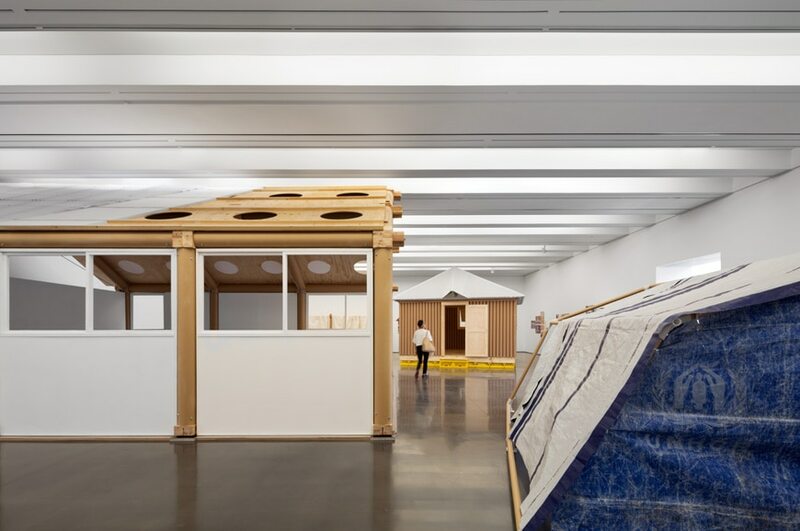 The Aspen Art Museum was founded in 1979 as a non-collecting institution aimed to presents and promote the newest and most advanced international contemporary art tendencies. 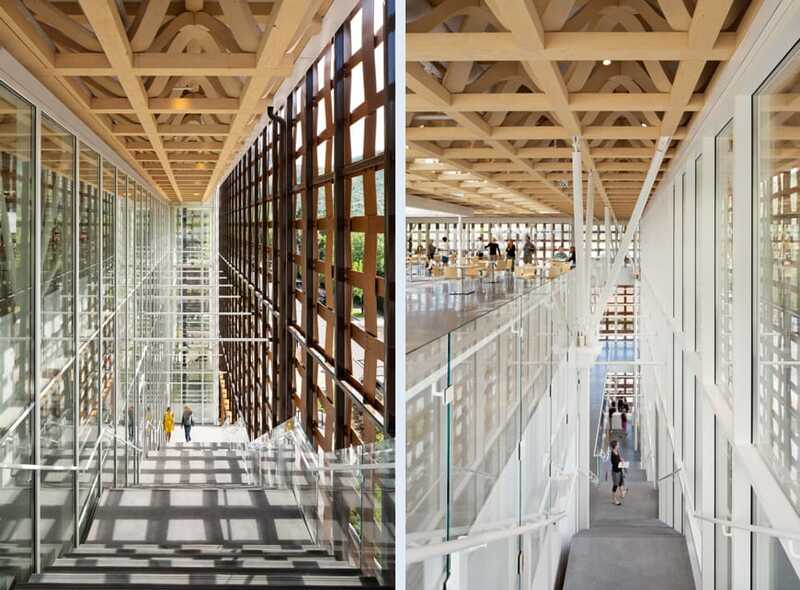 In 2007, since the old spaces have become insufficient due to the increasing success, the AAM board took the decision to create a new home for the museum and selected Japanese architect Shigeru Ban to accomplish the task of designing its building. 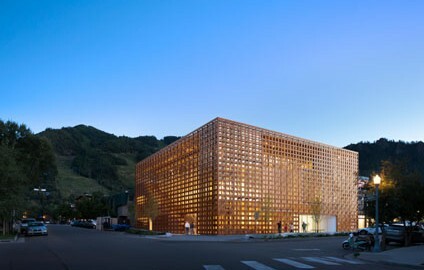 Shigeru Ban, along with being one of the most interesting contemporary architects, and the 2014 Pritzker Prize winner, is also renowned for his research on lightweight building materials like paper and wood as well as for his exemplary commitment in humanitarian architecture and disaster relief structures design. 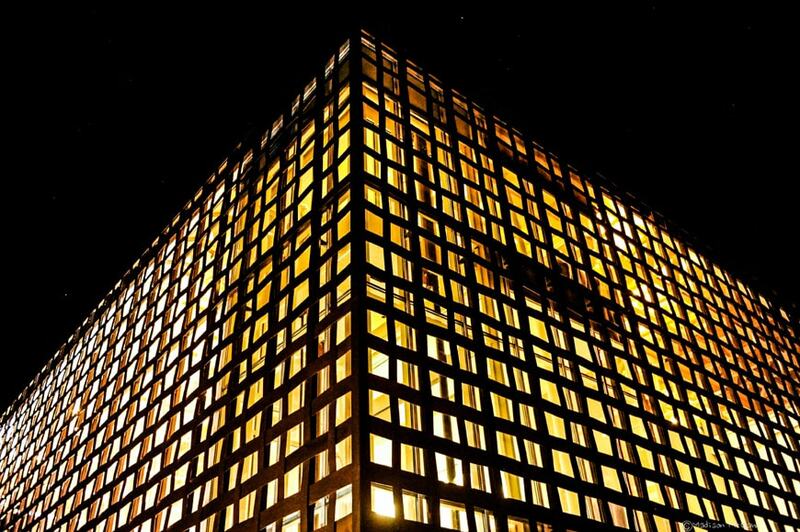 For the new AAM home, Ban designed a building apparently very simple in its shape while actually extremely profound in its essence. 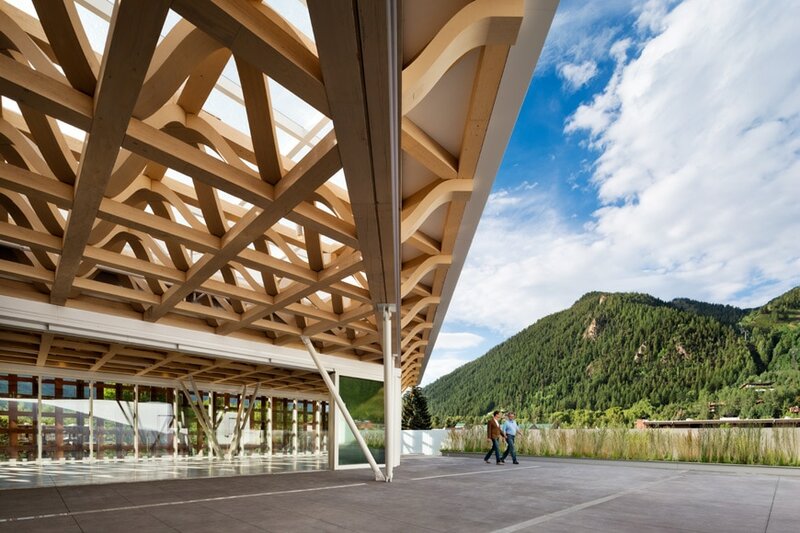 The museum architecture is indeed based on a careful planned arrangement of transparent and semi-transparent layers, beginning from the woven envelope, that creates a diverse and fascinating set of views toward the museum interior from the outside and toward the spectacular surrounding mountain environment from the inside. 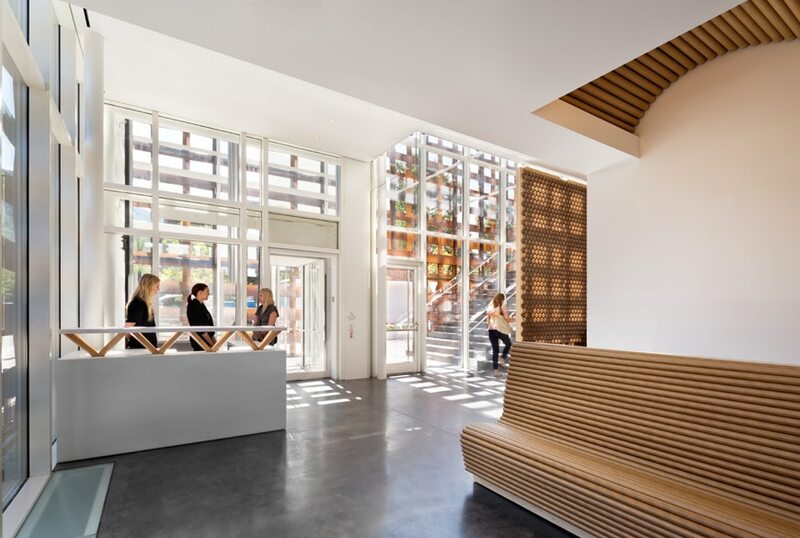 The AAM parallelepiped, containing the reception area, exhibition galleries, an education space, a shop, a cafe, an on-site artist apartment, as well as service, storage and preparation spaces, is based on the combination of five main elements. 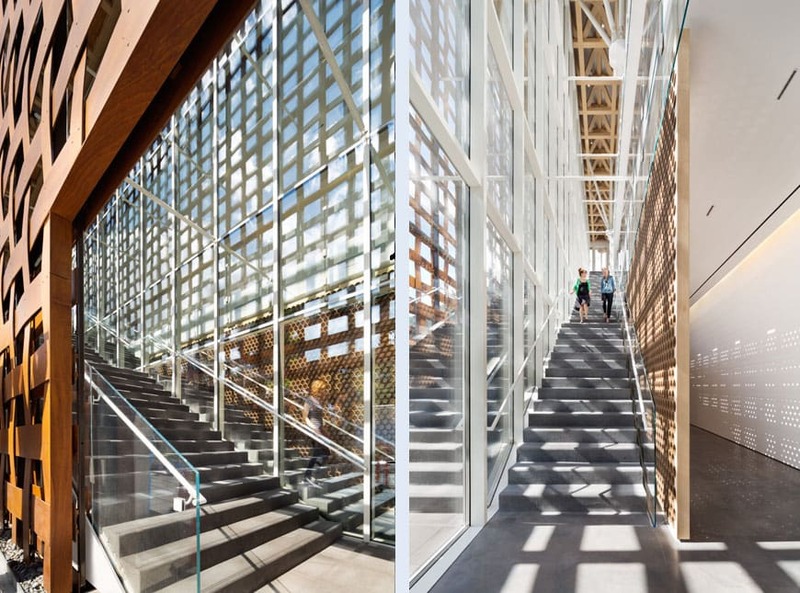 The Grand Staircase and the “Moving Room” elevator, along with being the main connections between the various building levels, are also spaces where the interaction between the different transparencies of the vertical layers provide the visitor a unique visual experience of both the building and its surrounding. 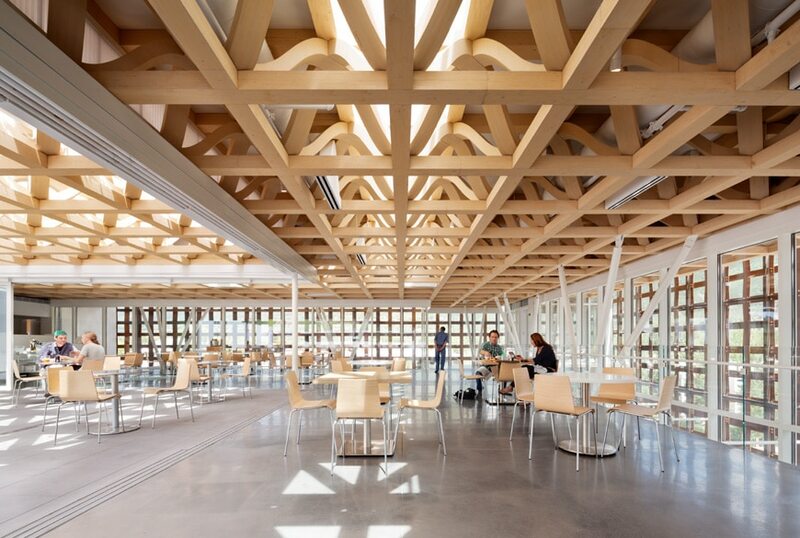 The Wooden Roof Structure, with its articulated morphology creates a sort of “interlayer” between the upper level and the exterior through which natural light softly enter the building from its top. 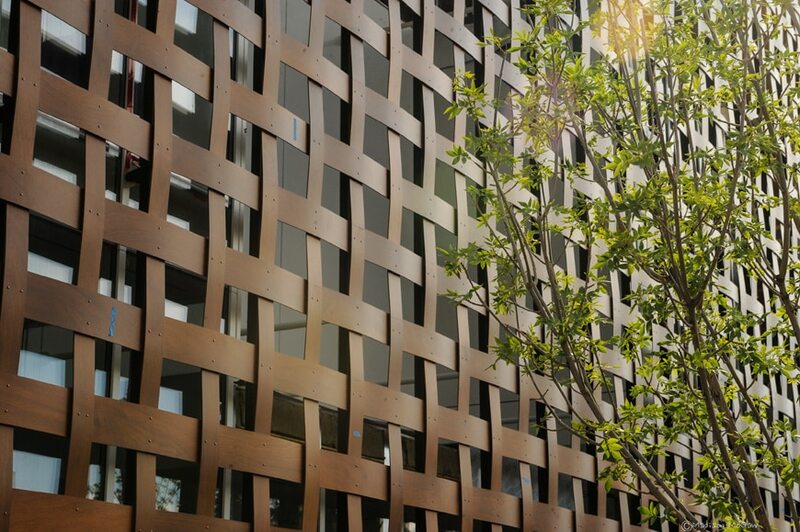 The Wooden Screen is perhaps the signature of the building, it is a woven envelope filtering the sunlight coming from the outside and made of Prodema, a composite material made of paper and resin and coated with natural wood veneer. 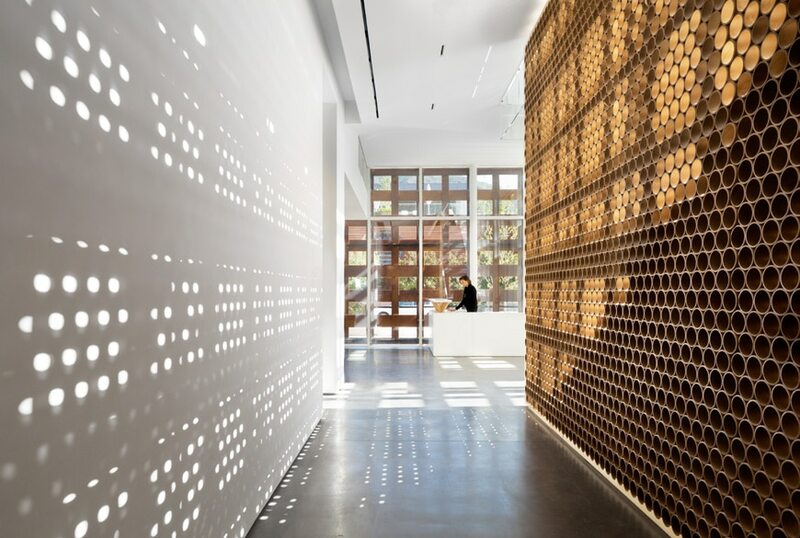 The interaction between the screen and the natural light creates impressive shade patterns in the building public spaces. 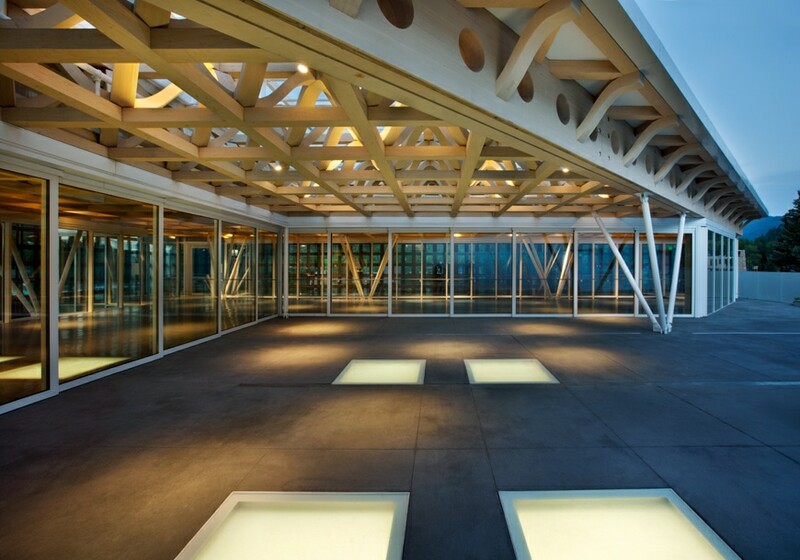 The “Walkable” Skylights. 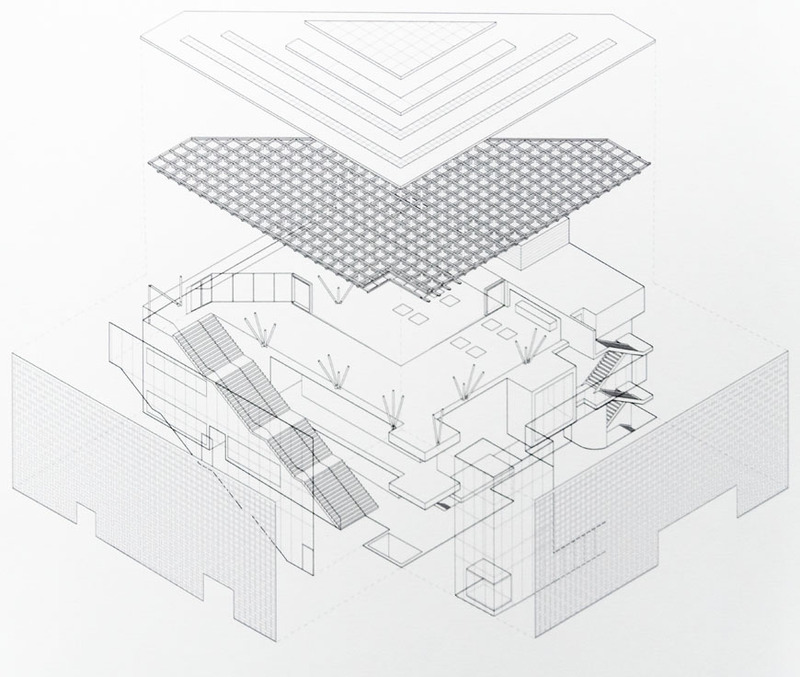 A roof deck and a rooftop sculpture garden further increase the visual relationship between the museum and its surrounding, the terrace is also equipped with skylights that provide natural lighting to the exhibition gallery underneath.